When a North Logan single-family rental property has an automatic sprinkler system, you can count on it to draw quality, long-term residents. On the other hand, it is necessary for sprinkler systems to be managed and maintained well, similar to any other element of a rental property. Sprinkler systems must be drained and turned off before the first deep freeze hits; this is what it means to be winterized. And when spring returns, sprinkler systems must be inspected for damage and then turned on when all the needed maintenance or repairs have been made. But who is accountable for these repair and maintenance tasks? That is determined by what terms are included in your lease. Numerous landlords think that the best policy is to have the tenants perform the routine sprinkler system maintenance themselves. They think relying on the tenants to remember to turn the sprinklers on or off each season is a good idea. Others, however, would rather have someone else provide oversight. They don’t want to risk it since a broken sprinkler pipe can quickly result in extensive property damage, and a sprinkler system that doesn’t work will make maintaining a healthy lawn or landscape features practically impossible for the renter. Even if some tenants may be proficient enough to handle basic sprinkler system maintenance and even a handful of repairs, leaving it to them is still risky. If your renters fail to winterize the system, you possibly will have a flooded catastrophe on your hands. Or, if they don’t have the proficiency to fix a broken pipe or sprinkler head, they may leave lawns or trees to die. If you’re not considering the option of doing sprinkler system maintenance and repair yourself, the safest recourse is to get a professional landscape company to handle it for you. If you go this route, you can be positive that they finish the job, and they finish the job correctly and consistently year after year. Sadly, not all landscape companies give great service and you will discover that the costs can sneak up on you and add up quickly. 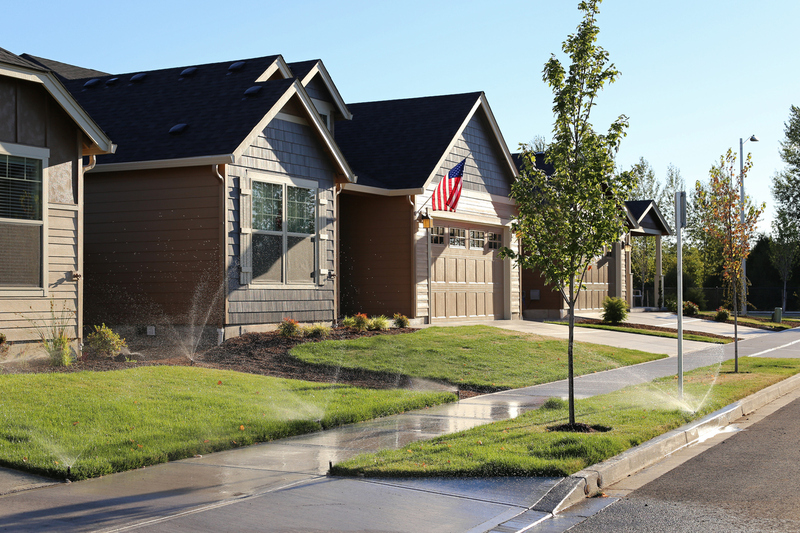 At Real Property Management Cache Valley, we have trusted professionals and preferred vendors ready to deal with sprinkler system maintenance and repair issues. We schedule sprinkler turn-on and off, in addition to periodic maintenance and any necessary repairs with the landscaping company, coordinating with your tenants and attending to all the details. Would you like to learn more about what assistance we can provide? Please contact us online or call us at 435-753-5200 for more details.